The transformer was an "air-breather". The filtration was not very effective and as a result significant quantities of airborne particles entered into the system. 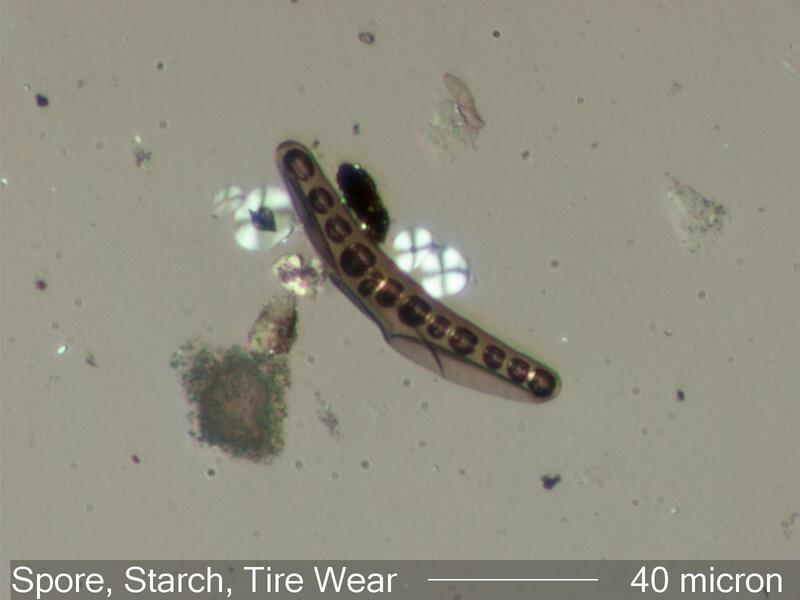 This set of particles contain very few metallic elements other than carbon, with some silicon and calcium in the tire wear particle. The spore is identified by its morphology. The starch by its morphology and the black cross pattern when viewed with crossed or slightly off crossed linear polarized light. These materials are all from outside the transformer. Foreign contaminants are those particles that are not manufacturing, assembly, maintenance, wear, or aging generated particles. They are particles inadvertently added to the system from an uncontrolled source. The presence of these particles indicates the degree of control exercised over the environment under consideration.